Islam has set forth the roots of its founding, the righteous path that will lead man to find what will calm his heart and mind. The path that will takes man to a new different level of self. Which will brings him to new kind of views and perspectives. People who has taken Al Quran and Sunnah as their guidance, may prosper in life and find peace in their heart. To establish man's faith in Islam, man's first mission is to plan a tree and set the root or foundation so strong that any obstacle that may set forth, he will still stand and be strong. Here, the root of tree may refer to man's aqidah and man's knowledge in life. These is the main foundation to set man to a true and guided path where God has already laid them. In general, as you probably already know, Iman is referred to as a root of tree and Islam as its trunk/branches while akhlaq referred to the fruits/flower. Same goes to parable which Muslim can be preferred to as a tree, the tree of Islam. "There is a kind of tree whose leaves do not fall and it is like the Muslim. Tell me what it is.' The people mentioned different kind of desert trees ... and I said to myself, 'It is the date palm tree,' but I felt too shy to speak up. 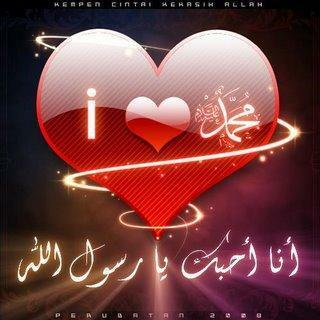 Then the people said, 'Tell us what it is, O Messenger of Allah.' He said: 'It is the date palm tree.". This is the tree to which Allah likens the believer because it is good in all aspects, it is lasting and it offers different kind of benefit. Islam and Muslims had been up until the middle of the 18th century like a magnificent tree, with strong branches and verdant twigs, glowing with vigor, freshness and splendour, and bearing with abundance the most scrumptious of fruits. Now we have passed the ages where the trees were used to be full of good branches and delicious fruits on its twig. Muslim nowadays are just normal man that has no direction, their path to glory have slowed down little by little. Let's face it, population of Muslim in the world is nearly two billion people as of today. Our brothers in Syria, Palestine, Iraq, Thailand and many more are suffering because of the violence that other people created. Probably because of hatred. Nevertheless, let me ask this one question. Out of two billions of Muslim, how many of us are in straight path? How many of us wishes to see the glory of Islam once again? How many of us wishes to participate in it? Hearts of people are different in many ways, maybe in real life they're good to one another, but at the back? they're backbiting and many more. These people who has this sorts of murkiness in their heart are people who don't like to see other people moving on. Moving towards the right direction. If we were to unite as one, one ummah, we have created a strong base, a strong foundation to fight these people who has the hatred against Islam in their heart and to those who are astray. These line (ummah) are the trees combined that could set a barrier that will stop and prevent all the bad and awful stuff that has been happening to our brothers and the religion itself. Please keep in mind, to have a strong base or foundation, we need to remember the roots of Islam is Iman and good akhlaq, without it, the structure of the tree is merely nothing. Easy to crumble when facing the enemy. Trees (Islam) can give man a huge and valuable lesson about life. Man relied heavily on the structural lesson of the tree. However we choose to ignore. 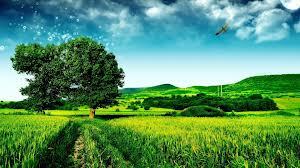 Ignore the fact that, trees lived longer than man and has seen and experience the nature of human and also earth. Other than that, same goes to a Muslim, Muslim can really and eventually change the world with their knowledge guided by the Quran and Sunnah. "Have you not considered how Allah presents an example, [making] a good word like a good tree, whose root is firmly fixed and its branches [high] in the sky?. It produces its fruit all the time, by permission of its Lord. And Allah presents examples for the people that perhaps they will be reminded." Principles and values, spiritual and moral development is the strong roots in the Muslim community. While the Muslim communities are encourage to face challenges and changes of life independently like a tree branches that grow so well independently until lifted high into the sky. We must overcome the challenges and any changes that might effect our minds to be a good Muslim in the future. We must rely on Allah in any problems that we faced. Also not to forget, to use Al Quran and Sunnah as the source of guidance. Wallahualam.